In parametric image each voxel represents a value of some physiological parameter, for example perfusion or receptor binding potential, while the original PET image contains radioactivity concentrations. While traditionally modelling is done using regional time activity information, a parametric image is created so that the modelling is done separately in each voxel. In theory, it is also possible to apply the model to dynamic sinogram, and reconstruct parametric sinogram to parametric image. Please note that parametric images in ECAT and DICOM format may contain the name of the subject. Transfer of PET images using any media outside PET Centre and University Hospital is strictly forbidden, unless names are first removed. PMOD contains a lot of modelling options to producing parametric images. Several in-house programs are available for computation of parametric images, including Carimas. If you want to have a quick look at the produced parametric image, use img2tif to make a TIFF image of it. This image can be opened in all computer systems by just double-clicking the file. Parametric images are in the same format as the original dynamic PET image and can be processed with the same software. Also ROIs can be drawn and regional results can be calculated using the same software as for the original PET images. The resulting DFT files then contain the regional parameter values, which can be printed on screen using taclist or DFT file can be converted to result file format using dft2res. Result files can then be processed as usual. For creating images showing average or standard deviation values between two images use ecatavg or vox_sd. Intraclass correlation coefficient (ICC) image can be calculated from two or more images with program vox_icc. For occupancy studies there is program vox_occu which creates the occupancy image from two PET images (contact Harri Merisaari). Voxels values can be divided into quantiles using imgqntls. [11C]flumazenil VT image computed with program imglhdv from dynamic GE Advance image in ECAT file format. Each pixel value (color) corresponds to a certain quantitative value of distribution volume of [11C]flumazenil. [18F]fluorodeoxyglucose (FDG) Ki image computed with program imglhki from dynamic GE Advance image in ECAT file format. Image planes (35 slices, thickness 4.25 mm) are animated in top-to-bottom order. Each pixel value corresponds to a certain quantitative value of net influx rate of [18F]FDG. 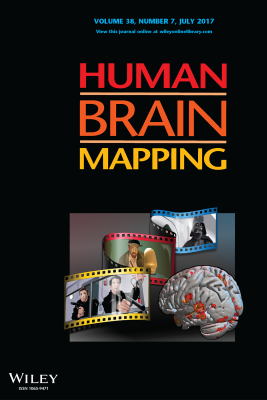 Friston K, Ashburner J, Kiebel S, Nichols T, Penny W (eds): Statistical Parametric Mapping: The Analysis of Functional Brain Images. Academic Press, 2007, ISBN: 978-0-12-372560-8.